Okay, everyone. Now is the time to sound off about your experiences with MMOs and MUDs! Gemstone: Entertaining and captivating players for 20 years with no sign of slowing down!I was recently given the chance to sit back with David Whatley, one of the many folks responsible for the famous GemStone online role-playing game, which got its start way back in 1988 on GEnie, one of the big commercial networks that thrived before the rise of the web. GemStone is one of the best known of the text-based online role-playing games (or, MUDs), and is still going strong today. David turned out to be extremely friendly and articulate, and I daresay you'll enjoy reading the great responses he had to my questions. If you ever wanted to learn more about the world of commercial text-based online role-playing, he's the man to talk to. 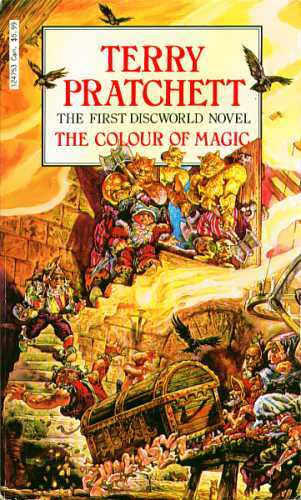 In 1991 David Bennett created an online game inspired by Terry Pratchettâ€™s Discworld series. The Discworld books have been a welcome departure for many from the sometimes tired and formulaic fantasy genre, providing a satirical look at sword and sorcery novels since 1986. Pratchett has created a world as rich in characterization as it is in one-liners. Bennettâ€™s game world is a lovingly crafted extension of that universe, and has provided pleasure to thousands of gamers for over a decade.